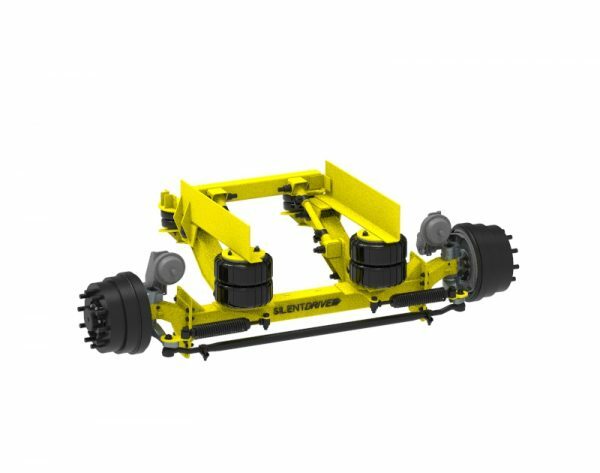 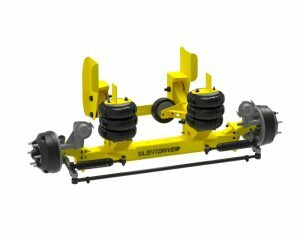 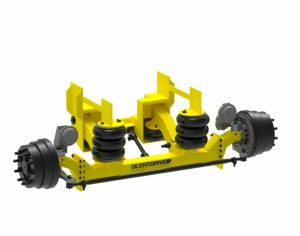 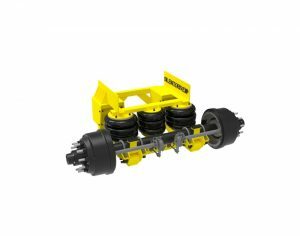 The steerable AAS-740-FA has an axle capacity of 13,200 lbs and can be used as a tag or pusher. 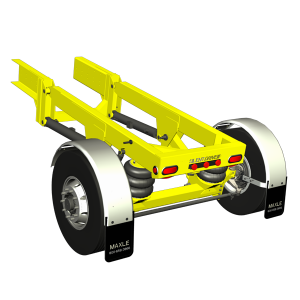 When lifted, the top of the axle beam is 6 inches below the bottom of the frame. 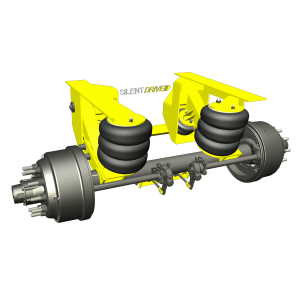 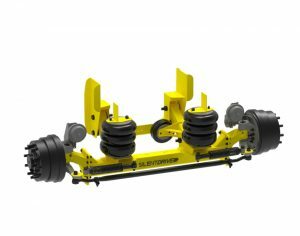 This suspension is offered with a 3.5″ and 5.5″ axle drop giving the user a 6″ – 9″ ride height.